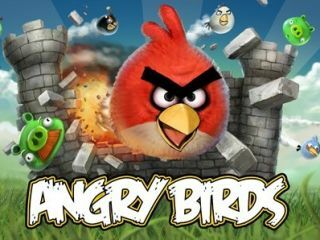 The Android version of Angry Birds has been given a massive update, which includes 45 brand-new levels and a whole host of new features. For the imaging purists out there, you will be glad to hear that alongside the myriad new content, the update fixes some graphical issues including offering up full QVGA (320x240) support. Rovio has also announced that the update brings optimisation for more Android devices. Those using Android 1.6 will now be able to play Angry Birds without fear of blank screens. Also included is a new episode. Called The Big Setup. This level, according to Rovio: "pits the birds against the fiendish construction yard operated by the pigs." The episode brings the total number of levels up to 195 on the Android platform. According to AndroidPolice, who were quick off the mark spotting the update, the big which allows users to skip locked worlds hasn't been fixed so you can check out all the levels still without actually completing the worlds before them. Oh, and good news for soft toy fans too – plushies that is, not plushophiles. Angry Birds plush toys are now available for preorder. To place your order, get yourself to shop.angrybirds.com.